The patient was 6 years old and had just started treatment for spinal tuberculosis. The specimen is the heart and lungs of a child. Miliary tuberculosis is usually a complication of primary tuberculosis in children, but it can occur as a late (often terminal) consequence of chronic untreated organ tb. Whether in primary or secondary tuberculosis, miliary tuberculosis occurs when organisms draining through lymphatics enter venous blood and there is consequent dissemination of bacteria via the blood stream. 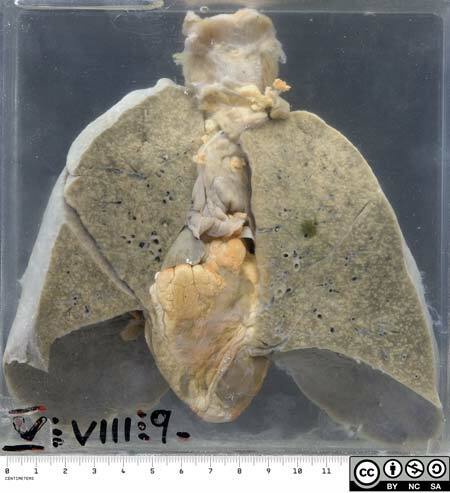 This specimen shows miliary pulmonary disease, the result of diffuse spread to the lungs via recirculation through the pulmonary artery. The child may well have had systemic miliary disease (organisms disseminated to the left side of the heart and systemic arterial system) as well. 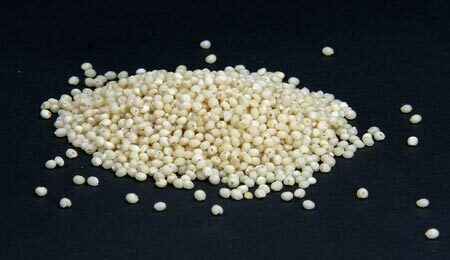 The two forms of miliary spread can occur independently or together. It is therefore usually a generalised condition, with many organs affected. Death is commonly due to tuberculous meningitis. 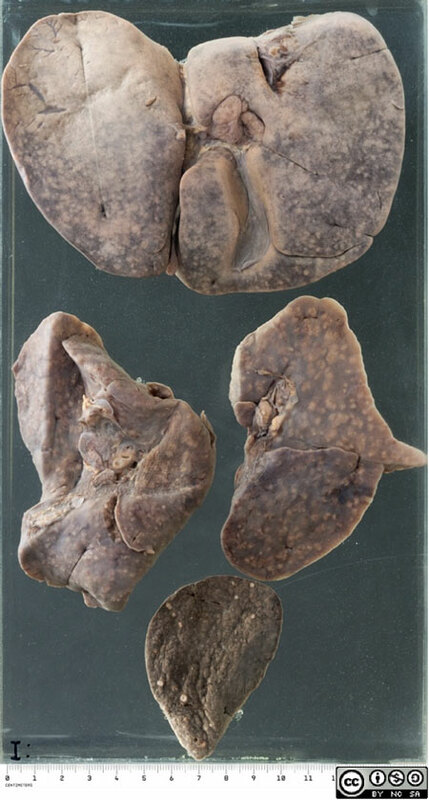 The liver, lungs and spleen from a 3 month old child who died of extensive miliary tuberculosis. 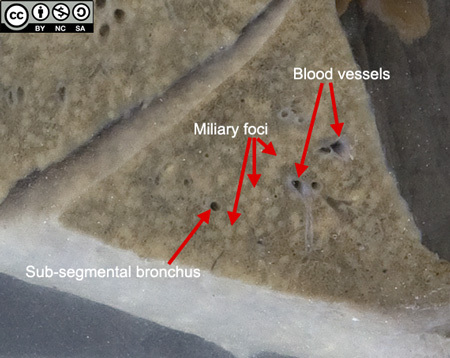 The miliary foci are a little larger than in the first example, but they seldom expand beyond a few mm since death intervenes before this can occur.